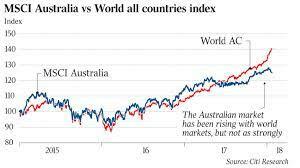 Headline indices of the Australian stock market closed higher on Monday, 08 April 2019, as investors risk sentiments bolstered by better-than-expected jobs data in the U.S. and reports of progress in trade negotiations between Washington and Beijing. Most of ASX sectors gained today, with materials, energy, and health care sectors being notable gainers. At closing bell, the benchmark S&P/ASX200 index inclined 40.09 points, or 0.65%, at 6,221.35 points, while the broader All Ordinaries added 40.18 points, or 0.64%, at 6,310.76. Australian shares opened higher, encouraged by gains on Wall Street after positive March US jobs data. The Labor Department reported that the US added 196,000 net new positions last month, well above expectations, while the jobless rate held steady at 3.8%. Market gains were also supported on trade optimism. As per reports, U.S. and Chinese officials were said to have discussed draft agreement text on contentious issues such as technology transfer, protection of intellectual property rights, and the bilateral trade balance, among others. Shares of materials were higher, as commodity prices spiked. Mining giant BHP was up 1.7% to A$39.89, Rio Tinto gained 1.6% to A$101.48 and Fortescue Metals up 2.8% to A$8. Energy stocks were also higher, with Santos gaining 2.3% to A$6.82, Woodside Petroleum up 1.4% to A$34.56 and Origin Energy up 2.1% to A$7.25. Financials were lower, with all four of the big banks down, between 0.3 and 0.7%. Westpac dropped the most, 17 cents to A$25.88. Lynas was up 0.5% to A$2.12 after some controversy following comments by Malaysian Prime Minister Mahathir Mohamad, who said the rare-earths miner needed to decontaminate radioactive raw material from its West Australia mine before refining it in Malaysia.  Infratil dipped 6.7% to A$3.88 after the New Zealand-based infrastructure investment company said an audit had found several of its assets are worth millions more than it thought, and it would have to pay its external fund manager up to A$71.7 million more in incentive fees. CURRENCY: The Australian dollar weakened against the U.S. dollar on Monday. The Australian dollar was quoted at 70.99 US cents, from 71.25 US cents on Friday.